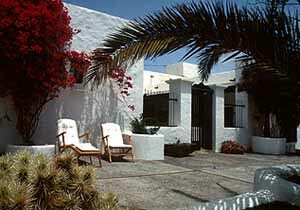 Discover the San Bartolomé Church in Lanzarote. 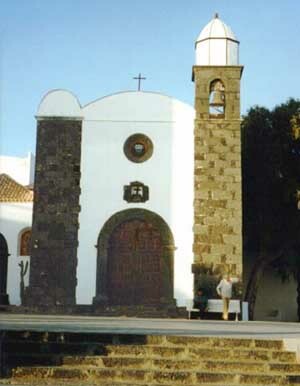 The San Bartolomé Church is located in the municipality of San Bartolomé on the island of Lanzarote. This monumental parish church remains from the XVIII century, ordered by the Mayor Guerra. It has a crossed shaped plant and only one nave with wooden roofs and 4 water corners. From its facade you might observe the main arched gate, the cornerbacks and the belfry all made in stone. The church was built mud and stone using local materials as all the other constructions on the island.